Sam Bickersteth joined the Oxford Martin School as Executive Director of the Rockefeller Foundation Economic Council on Planetary Health in February 2018. 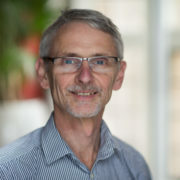 Sam was Chief Executive of the Climate and Development Knowledge Network (CDKN) from 2011 to 2018. CDKN is a global alliance of southern and northern organisations delivering innovative solutions for climate compatible development in developing countries. It has supported over 1,000 technical assistance, research and knowledge management projects in 70 countries in the areas of climate policy, planning, finance, climate-related disasters and international negotiations. Sam is an agricultural economist by training with a background in food security, natural resources and climate change, having previously worked for PwC, DFID and Oxfam. From 2006 to 2010, he was head of programme policy at Oxfam and also held leadership positions for DFID in Bolivia, Mozambique and Nepal. Sam has lived in Africa, South Asia and Latin America in his roles as researcher, policy adviser and programme manager. He has been a Director in PwC’s Sustainability and Climate Change team, an Honorary Research Associate at Oxford University’s Environmental Change Institute and adviser to the London School of Economics/Leeds University Centre for Climate Change Economics and Policy (CCCEP). He has also served as Chair of Low Emissions Development Strategies Global Partnership and adviser to the UK Government Foresight Project on Global Food and Farming Futures. Matthew Neidell is an Economics Professor at Columbia University, where he holds faculty positions in the Mailman School of Public Health and The Earth Institute. He is also a Research Associate at the National Bureau of Economic Research, a Research Fellow at the Institute of Labor Economics (IZA) and the Developmental Core Chair of the Columbia Population Research Center. Matthew’s fields of specialization are environmental, health and labour economics, with research primarily focused at the intersections of these two fields. His most recent work applies the latest empirical methods to examine the relationship between the environment and a wide range of measures of well-being, including worker productivity, human capital and decision-making. Previous related work has focused on the effect of the environment on health outcomes and avoidance behaviour. 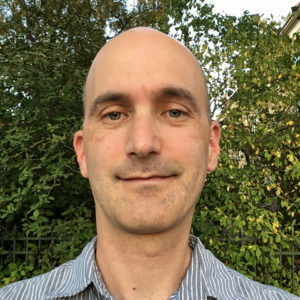 Matthew has published extensively in both economics and health science journals, with a full list of publications available at http://www.columbia.edu/~mn2191/neidell_cv.pdf. He is currently a co-editor at the Journal of the Association of Environmental and Resource Economists. Joshua Graff Zivin is Professor of Economics at UC San Diego, where he holds faculty positions in the School of Global Policy & Strategy and the Department of Economics. He is also a Research Associate at the National Bureau of Economic Research (NBER), Research Director for International Environmental and Health Studies at the Institute for Global Conflict and Cooperation (IGCC) and Co-Director of the UCSD Global Health Initiative. In 2004-2005, he served as Senior Economist for Health and the Environment on the White House Council of Economic Advisers. Prior to joining UCSD in 2008, he was an Associate Professor of Economics in the Mailman School of Public Health and the School of International and Public Affairs at Columbia University, where he served as the Director of the PhD Program in Sustainable Development. Josh has published numerous articles on a wide range of topics in top economic, policy and medical journals. His research interests are broad and include the areas of environmental, health, development and innovation economics. Policy relevance serves as a guiding force behind all of this work. Much of his current work is focused on three distinct areas of research. His work on the impacts of poor environmental quality examines the relationship between the environment, health and human capital formation, with a particular eye towards behavioural responses to mitigate adverse consequences. His work on the economics of innovation explores the role of institutions, social networks and financial incentives in the production of new scientific knowledge within the life sciences. His research in developing countries is focused on the design of health interventions and their economic impacts. 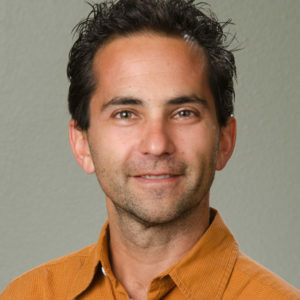 A full list of his publications is available here https://gps.ucsd.edu/_files/faculty/graff-zivin/graff-zivin_cv.pdf. 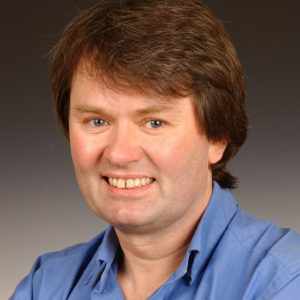 Michael Grubb is Professor of Energy and Climate Change at University College London (Institute of Sustainable Resources). In 2016, he moved from a role as Senior Advisor at the UK Energy Regulator OFGEM, to Chair the UK government’s Panel of Technical Advisors on Energy Market Reform. His former positions include Senior Research Associate in Economics at Cambridge University; Chair of the international research organization Climate Strategies; Chief Economist at the Carbon Trust; Professor at Imperial College London; and head of Energy and Environment at Chatham House. Michael was founding Editor-in-Chief of the journal Climate Policy, and served on the UK Climate Change Committee, established under the UK Climate Change Act to advise the government on future carbon budgets and to report to the UK Parliament on their implementation. He has held many advisory positions with governments, companies and international institutes and studies on climate change and energy policy. Michael is the author of eight books, 50 journal research articles and numerous other publications. He has been a lead author for several reports of the Intergovernmental Panel on Climate Change on mitigation, including the IPCC Fourth Assessment Report. His book Planetary Economics, which brings together the lessons from 25 years of research and implementation of energy and climate policies, has received widespread accolade as a ‘seminal’ contribution, ‘comprehensive and profoundly important’ for its presentation of a new approach to both the theoretical underpinnings and the practical policies for tackling energy and climate change challenges. 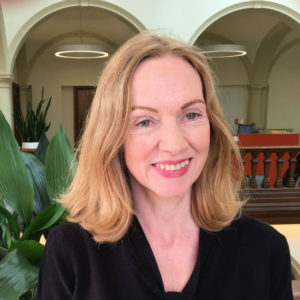 Jennifer has published widely on health challenges in conflict, post-conflict and failed states; cross-disciplinary challenges to researching serious infectious disease control; the impact of antimicrobial resistance on security and the military; social media technology use in epidemics; and responses to mass-casualty terrorism events. She recently authored the chapter on Communications During a Health Emergency in the CABI Handbook on Health Emergency Preparedness and Response (Ed. C. Sellwood and A. Wapling, 2016). Montira Pongsiri is a Senior Science Policy Adviser with The Rockefeller Foundation Economic Council on Planetary Health. She is also a Visiting Scientist at the UN Environment Asia-Pacific Regional Office in Bangkok, where she helps UN agencies in the region to incorporate environmental change-health issues into their strategic planning and activities. Montira was the first Science Adviser at the US Mission to the Association of Southeast Asian Nations (ASEAN), leading the mission’s efforts to develop and apply science and technology to support ASEAN’s sustainability goals, and to strengthen the capacity of science-based policy-making. She was on overseas assignment to the US Mission to ASEAN from the US Environmental Protection Agency’s Office of Research and Development where she was an Environmental Health Scientist. 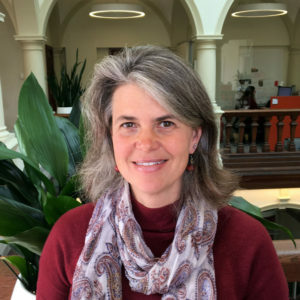 At the EPA, Montira developed and led a research initiative on biodiversity and human health, which studied the links between anthropogenic stressors, changes in biodiversity and infectious disease transmission. She was also the agency’s lead on technical partnerships with the Smithsonian Institution and with Rockefeller’s 100 Resilient Cities Global Challenge. As a member of The Rockefeller Foundation-Lancet Commission on Planetary Health, she brought expertise on environmental change-human disease linkages. Montira received her PhD and Master of Public Health from Yale University. 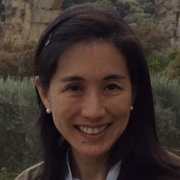 Her primary research and science policy interests are in applying scientific understanding of the relationships between the condition of natural systems and human health to inform policy for long-term sustainability impact. Ian J. Bateman is Professor of Environmental Economics and Director of the Land, Environment, Economics and Policy Institute (LEEP) at the University of Exeter, UK. 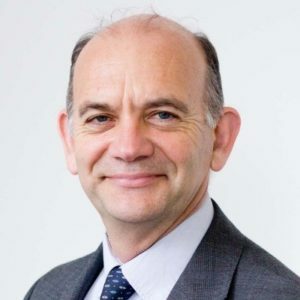 He also holds professorships in Australia and New Zealand and a Royal Society Wolfson Research Merit award (awarded 2011 for five years) and is a Member of the H.M. Treasury and UK Department for Environment, Food and Rural Affairs (Defra) Natural Capital Committee. He is also a Member of the Board of Directors of the UK Joint Nature Conservation Committee, the Environment Agency Long-Term Investment Scenarios Development Group and the NERC Strategic Programme Advisory Group. 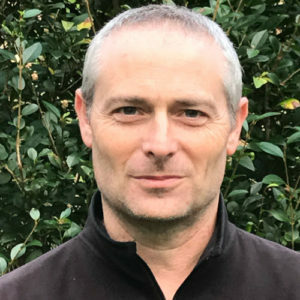 Ian was formerly the only economist on the Defra Science Advisory Council and Head of Economics for the UK National Ecosystem Assessment and led the economics component of the second phase of the UK-NEA. He has been Principle Investigator of over 70 major research grants bringing together public and private sector funding in excess of £30 million. Ongoing grants include leadership of the NERC South West Partnership for Environment and Economic Prosperity (SWEEP), which unites multiple business and policy decision-makers with research experts. Ian has been or is advisor or consultant to: Defra, DfT, DoH, NICE, OECD and numerous other bodies. He is also the Editor of the leading journal Environmental and Resource Economics. His main research interests revolve around the issue of ensuring sustainable well-being through the integration of natural and social science knowledge. He has particular skills in the fields of quantitative analysis as well as the valuation of non-market benefits and costs. Ian has written over 130 peer-reviewed journal papers and a large number of book chapters and books. He has written or edited more than a dozen books and over 100 chapters in books. He was awarded an Order of the British Empire in 2013 for services to environmental science and policy. Mark Schulman has 20 years of writing and editing experience, focusing on international environmental, economic and development issues. He has been a senior editor at the World Economic Forum in New York and was the managing editor at WWF International in Geneva, Switzerland. Mark worked many years as a writer and editor for the Earth Negotiations Bulletin, a publication of the International Institute for Sustainable Development Reporting Services (IISD-RS), covering UN environment and development negotiations and meetings. He has also done communications work for the UN Development Programme (UNDP), UN Environment Programme (UNEP), UN International Strategy for Disaster Reduction (UNISDR), International Union for the Conservation of Nature (IUCN) and Green Growth Knowledge Platform (GGKP). Mark received an MA in International Affairs and Environmental Policy Studies from Columbia University’s School of International and Public Affairs (SIPA) and a BA in Anthropology from the University of Michigan, Ann Arbor. He has published numerous articles on a range of subjects in the Dow Jones Newswires, World Economic Forum Global Agenda, The Christian Science Monitor, African Geographic, The Times of Israel, The Jerusalem Post and other media outlets. Philippa West is the Personal Assistant to the Executive Director of the Rockefeller Foundation Economic Council on Planetary Health. Prior to joining in 2017, she worked within the educational and charity sectors in the UK and Spain. In addition to teaching English, Philippa’s background includes editing, proof reading, translation and copy writing. She has a BA in Spanish. Latha Swamy joined the Yale Center for the Study of Globalization in October 2016 as the Senior Adviser to the Chair of The Rockefeller Foundation Economic Council on Planetary Health, Dr Ernesto Zedillo. She also advises on the centre’s Universal Health Coverage Steering Committee as it develops a Charter for Equitable and Sustainable Universal Health Coverage. Her work broadly examines the relationship between environmental degradation and human health. Latha’s research also explores the linkages between health systems strengthening and access, tropical resources, food justice and security, gender equity, and post-colonialism in the midst of global environmental change – particularly their effects on those living in poverty, and innovative solutions that challenge the resulting systems of oppression. Latha has worked in India and Nepal with the MIT Abdul Latif Jameel Poverty Action Lab using randomized control trial methods to evaluate the use of rural farmers’ social networks to promote new climate-smart agriculture technology uptake; in Haiti with Hôpital Albert Schweitzer developing interventions to transition smallholder farmers to agroforestry techniques to jointly address chronic malnutrition and deforestation; and in West Borneo, Indonesia, conducting an independent mixed methods programme evaluation at a rural clinic (Alam Sehat Lestari) that aims to disincentivise illegal logging by providing reduced cost healthcare services in return for forest stewardship. She has also worked in the US conducting and managing clinical trials in anesthesiology and pain management at Hospital for Special Surgery, and as a Health Policy, Economics, and Advocacy Fellow for Physicians for a National Health Program. 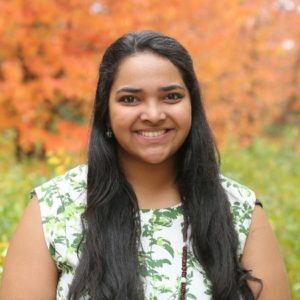 Latha currently serves as a United Nations Ambassador for Women’s Environment and Development Organization (WEDO), sits on the Junior Board of EcoHealth Alliance (EHA) and is a Global Health Justice Partnership Fellow at Yale Law School. She holds a Master of Environmental Management from Yale University, prior to which she pursued an MD and a PhD in systems neuroscience at Albert Einstein College of Medicine.